Where there is a lack of honor in government, the morals of the whole people are poisoned. My country owes me nothing. It gave me, as it gives every boy and girl, a chance. It gave me schooling, independence of action, opportunity for service and honor. In no other land could a boy from a country village, without inheritance or influential friends, look forward with unbounded hope. The great liability of the engineer compared to men of other professions is that his works are out in the open where all can see them. His acts, step by step, are in hard substance. He cannot bury his mistakes in the grave like the doctors. He cannot argue them into thin air or blame the judge like the lawyers. He cannot, like the architects, cover his failures with trees and vines. He cannot, like the politicians, screen his sort-comings by blaming his opponents and hope the people will forget. The engineer simply cannot deny he did it. If his works do not work, he is damned. Older men declare war, but it is the youth that must fight and die. America - a great social and economic experiment, noble in motive and far-reaching in purpose. 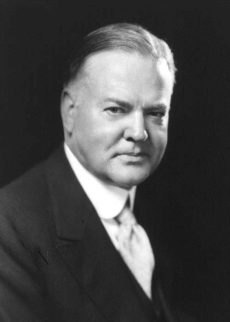 15 quotes by Herbert Hoover.